Short Business Description: Angles photography studio opened its doors in November 2006 and has been hugely successful in Limerick city. Always aiming to always keep customers and staff happy “we believe this is the major key to any successful business“. Providing a friendly inviting atmosphere by adding as many personal touches as possible. All our sittings are free of charge, we are confident in our work this allows you, the customer to pay only for what you like once you view your photographs. We also provide a children’s play area, cartoons, and toys – to give parents peace of mind so they can relax in comfort while viewing the pictures. They have worked with many children over the years and have developed some key skills in bringing out a child’s true personality, no matter how nervous or shy the child may be. Angles photography studio has been reviewed and highly recommended by the Limerick Post. Have a look through their gallery see what you think. Short Business Description: P.J. Corbett Photography is one of Irelands most sought after photographers with his very fresh, creative and fun style of photography. corbett photography is newborn baby photography portrait studio serving clients in Limerick and the surrounding area. Every wedding is treated with fun and creativity not found with other Limerick wedding photography studios. Short Business Description: Full picture framing service by local family owned business that has been at the forefront of picture framing for over 25 years. 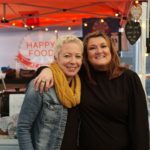 Please support local Irish owned business. Contact Ray on 061 415573 or call to 15 Catherine Street, Limerick and visit their show room. 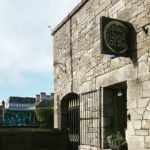 Having their premises within the city centre makes it easy for customers to drop by and meet them to discuss in person their requirements. They understand how precious the items are that they are asked to frame, so they treat every piece with the care and respect they deserve. 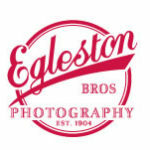 Short Business Description: The present proprieter of the Egleston Studio is the gifted portraitist, Niall Eggleston A.I.P.P.A who has maintained the studio's traditions and dedicated to the highest standards of excellence. Particularly noteworthy is Niall's estimable reputation as a prodigiously accomplished photographer of children. 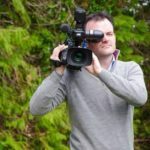 Short Business Description: Kevin Daly’s approach to Videography is very simple and uncomplicated. His finished product is a replay of your Wedding Day as it is. This along with high picture and sound quality is what you, the Bride and Groom can expect when you view your video. 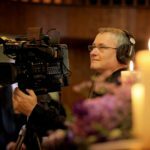 Kevin uses a professional JVC camera and is a full time videographer. Kevin is very flexible and offers his service for the complete Wedding Day. He can be at your home in the middle of all the action early in the morning or just stay in the background throughout the day. Whatever you decide you are guaranteed a finished professional wedding video which will bring all the memories of the day back to you. 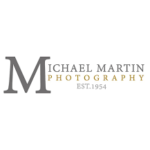 Short Business Description: Martin Michael Photography believes in the power of a photograph as a way to freeze a moment in time. Whether this is a look of love during your wedding day or when you hold your precious new born in your arms, they understand these moments are priceless. Their slogan has always been “capturing the moment” and they take this seriously. As a studio that has survived and thrived through over 50 years in the business they have the experience to capture your moment in a unique and special way. Don’t get us wrong though, ensuring that your photographs are exactly what you want doesn’t have to be a stuffy and imitating process! They try to ensure their photographs are captured in a natural, relaxed environment and hope everyone including the wedding couples, families and babies to toddlers to teenagers to grandparents will enjoy the experience of being the focus of the lens. 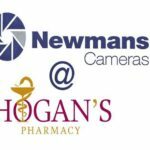 Short Business Description: Newmans Cameras @ Hogans Pharmacy is an authorised Canon and Fuji Dealer and Instax mini Main stockist based in the heart of Limerick city. Short Business Description: Rory and Mary O’Donovan of O’Donovan Productions, are a husband and wife team. 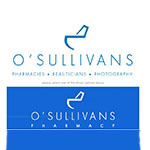 Their studio is in their home in Clareview, Limerick. Rory is the main videographer and both of them are editors. Rory started out as a graphic designer and photographer while Mary was an assistant manager in Golden Discs and manager of Stardiscs, Limerick and Ennis. Both of them have always been interested in video and filming. They have hours and hours of footage of family occasions, and what started out as a hobby quickly became our profession. They filmed their first wedding in 1997 and haven’t looked back since. They also film sporting events, confirmations, communions, plays, and shows. 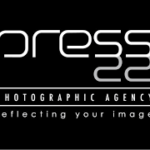 Short Business Description: Established in 1984, Press 22 is one of Ireland’s leading photographic agencies covering the 32 counties of Ireland as well as extensive experience in overseas assignments. They offer photographic services for Architectural, Construction, Advertising, Corporate, Commercial, Aerial, Press, Public Relations, and Marketing Support.